Bookstores can be like old friends. I had a chance to visit one of those while in Evanston, Illinois this weekend. 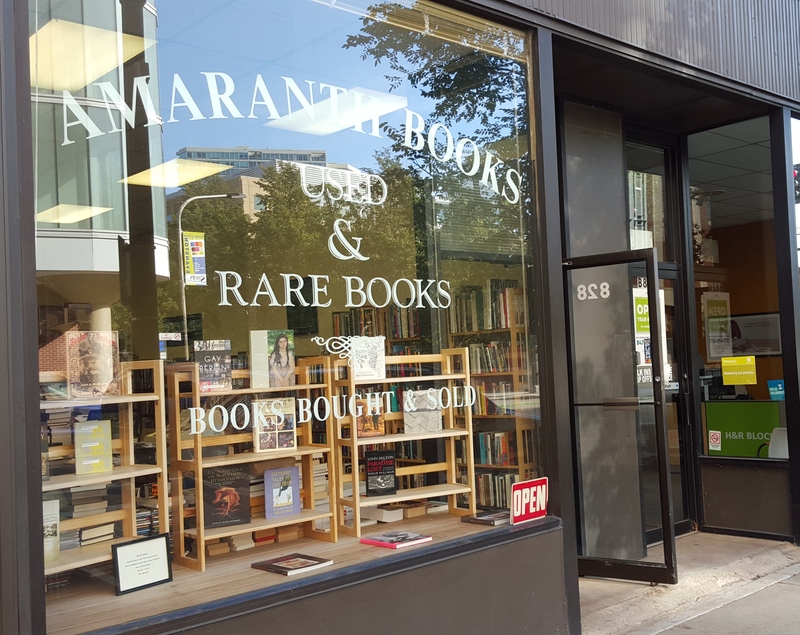 A number of years ago I was at meetings in Evanston and found a wonderful used and rare bookstore called Amaranth Books. C.S. Lewis lover that I am, I found a reasonably priced copy of Allegory of Love. So, when I had a break between morning and evening speaking engagements, I looked up bookstores near where I was staying and discovered it was .3 miles away, just a short walk. One of my first impressions walking in was of a store neatly organized that optimized display, an extensive selection and ease of moving through the store’s three main aisles, lined with books on each side. Just inside the entry are a good selection of $1 and $2 books. I was tempted by several but limited myself to a biography of Cotton Mather, reflecting my interest in American religious history. The store also features an extensive selection of used classical CDs, tempting me with another of my loves. I found a recording of Adolphus Hailstork music. Our choral group has sung some of his music and I was delighted to actually find something recorded by him. The store’s website indicates that they buy and sell children’s literature, classical CDs and DVDs, cultural books, fiction, non-fiction, poetry and rare books. Given the location near Northwestern University, one gets the feel that its appeal is to an educated, literate clientele. 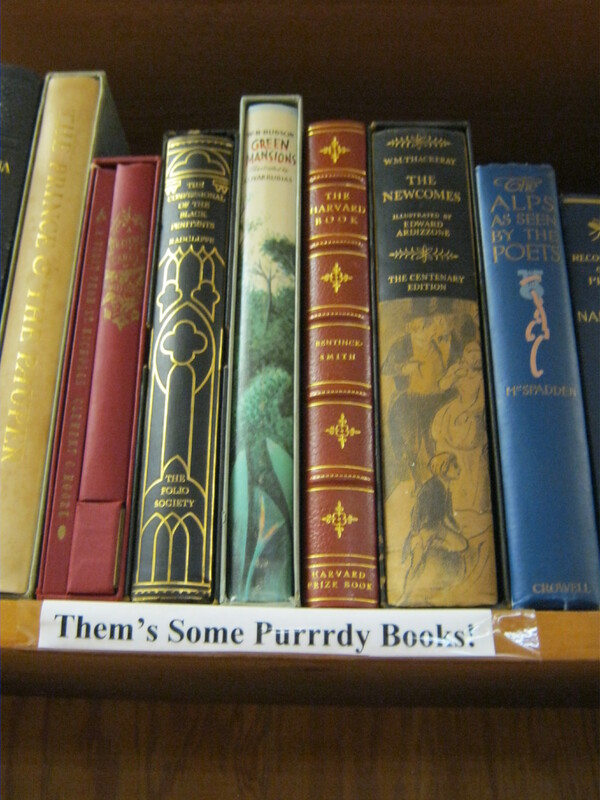 In the fiction section there were a number of first editions. I was impressed to find the full Oxford English Dictionary in what looked like mint condition as well as the Grove Dictionary of Opera (four volumes) which I’d not seen a copy of before. I was particularly impressed that the books I looked at were in good condition and, I thought, reasonably priced. The owner, Joe Warnick, has been in this location for 24 years. 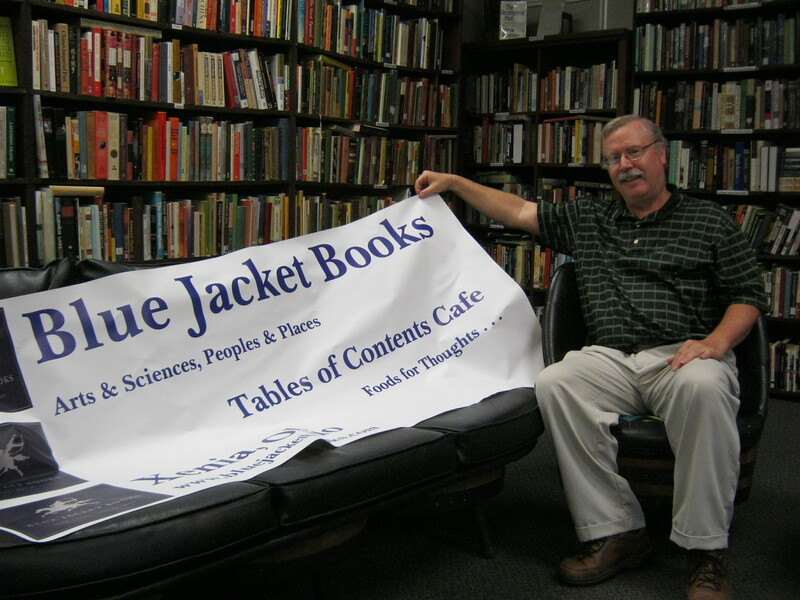 Like many booksellers, much of his business is done online and you can search their selection through AbeBooks website. Because he specializes in used and rare books he also buys collections, preferring to work within a 20 mile radius of the store (much of greater Chicago). Like nearly all booksellers I’ve talked with, he spoke of the challenges of bookselling in the rapidly changing environment we are in–knowing what to buy and stock, how to promote, how to connect with customers. What impressed me, however, was the fine selection and display of books (as well as CDs and DVDs) he achieves in his space without the clutter, dust, disorganization, and indiscriminate attention to book condition one sees in many stores. My only regret was not getting back to see this “old friend” sooner. I visited an unusual bookstore the other day. It was located inside the campus of Vineyard Columbus, located at 6000 Cooper Road in Westerville. Roughly 8,000 people attend services at this church each weekend and The Bookstore is located just inside one of the main entrances off of the south side of the building. Jeff described his passion as one for using books to help equip believers for growth and transformation. One of strategies he, and bookstore clerk, Meg Kuta (who formerly worked with a major bookstore chain) work on is finding “entry level” books that they can sell at prices as low as $5.00 a copy that are easy reads but have quality content that appeal to the non-reader, which he estimates might make up 80 percent of the congregation (pretty much what is true of the general adult population). He gave shout-outs to Zondervan/Harper-Collins and Tyndale who are publishing a number of titles in this vein. Gifts, Theology, and Children’s Books! At the same time, as I looked around the store, I was impressed with the quality content available and the amount of the store given over to books as opposed to gift items, stationary, cards, and other non-book items. You can find meaty Bible study tools, theology texts. serious biographies, like the new one on Tom Oden. There is also a delightful children’s section. The store stocks resources for small group leaders, the diverse ministries of Vineyard Columbus, and books related to current sermon themes. 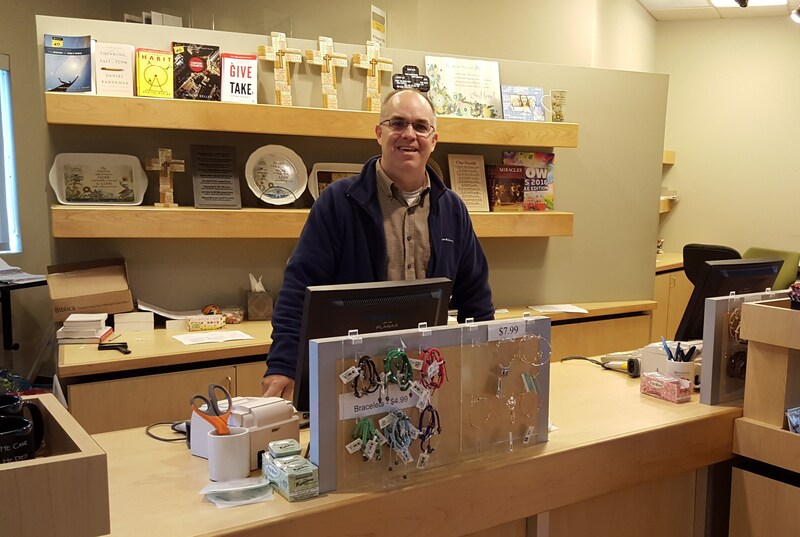 All Vineyard leaders are able to purchase books at a 20% discount and Jeff works with ministry leaders to find resources to enhance the efforts of each ministry. We talked about how Jeff works with the pastors to order books that they will be mentioning in sermons. He observed that the way books are recommended in a sermon have a big effect. Recently, for example, a speaker talked about the devotional guide Search the Scriptures and wove the impact of using this guide throughout his sermon. As a result, the store sold 150 copies! More offhand recommendations may sell five or ten copies to the really interested. 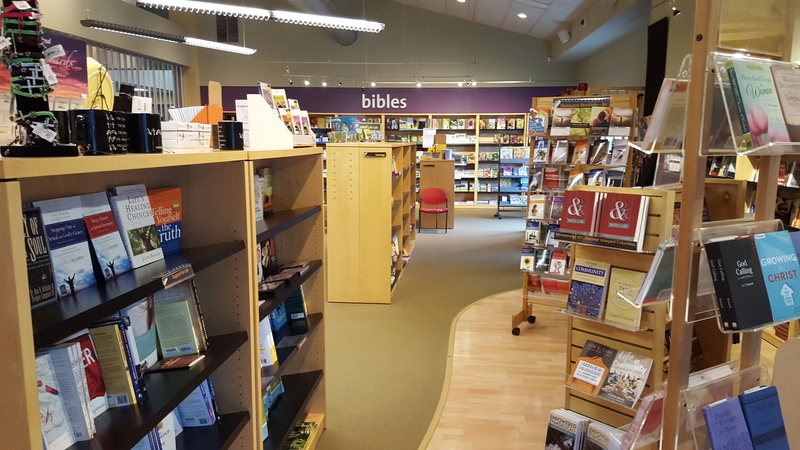 Like many bookstores, The Bookstore will host author events with local authors as well as national authors visiting to speak at services or conferences hosted by the church. This coming year, they are planning to host a series of author events with local seminary professors. According to their website, they also host a writers group and a C.S. Lewis discussion group. I asked Jeff what he most and least likes in Christian publishing. Vineyard Columbus is an ethnically diverse congregation and one pet peeve which he has engaged publishers on are books with only white people on the covers. He also has problems with the “end times prophecy” books which he feels nurtures idle speculation rather than serious discipleship. Positively, once again he spoke warmly of the deeply discounted “entry level” books that Zondervan/Harper-Collins and Tyndale publish. He also spoke of the growing level of cooperation he is seeing among authors, publishers, publicists, and booksellers, all who have faced challenges in the changing landscape of bookselling. Finally, we discussed some of the books that are his “bookseller’s picks”. Several times in our conversation he mentioned Gordon Fee’s Paul, The Spirit, and the People of God, a book deeply consonant with Vineyard’s theological commitments. Two other books Jeff and Meg are recommending these days are John Ortberg’s If You Want to Walk on Water, You’ve Got to Get Out of the Boat and Michelle DeRusha’s 50 Women Every Christian Should Know. 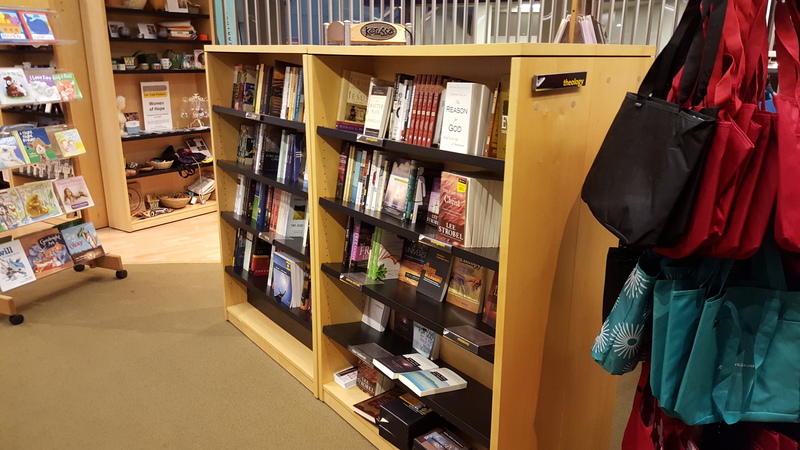 While The Bookstore’s primary clientele are Vineyard members, the store is open to the public. Jeff contends that their prices are often better than you-know-who. They also have a Frequent Buyer program that offers a 10% discount on all purchases, email notices of featured books and specials and has no annual membership fee. Additional contact information for the store and other resources including an extensive list of book recommendations by topic are available on their website. This is torture for a book-lover. You are on a tight schedule and discover a really cool bookstore and just don’t have the time to really explore it. 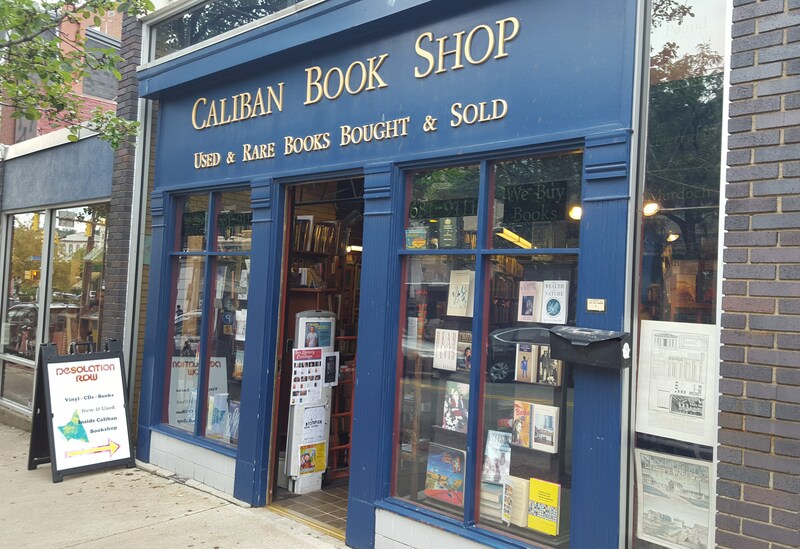 The other day I happened upon Caliban Books on the way to a meeting while visiting Pittsburgh. I just didn’t have time for more than a few minutes to give the store a quick once over, grab a business card, and snap a couple pictures. But I thought I would pass along the word to any fellow book-lovers who live in or will be visiting Pittsburgh. Caliban Books is located in the Oakland area of Pittsburgh in a modest sized shop at 410 South Craig Street, off of Forbes Avenue, in a trendy location of boutiques and eateries situated between the University of Pittsburgh and Carnegie Mellon University campuses and near the Carnegie Museums. The store stocks roughly 40,000 books, covering just about any category, on floor to ceiling shelves radiating from the checkout counter near the entrance to the store. You will find additional books stacked on the floor at the ends of shelves. They also sell original prints, maps, and art. They are also a store within a store. Near the front counter, you will find the racks of LPs and CDs that make up Desolation Row Records, self-described as “a small, independent record shop (located inside Caliban Book Shop) specializing in Indie Rock, Sixties Pop, Punk, Americana, Folk, Blues, and Jazz owned and operated by Kristofer Collins.” Vinyl and books all in one place–why couldn’t I have had a free hour or two? Perhaps it is God’s way of saving the family budget and delivering me from temptation! I also learned from their website that Caliban Books is a member of the Antiquarian Booksellers Association of America. John Schulman, the co-owner, spent several years appraising books for Antiques Road Show and can appraise for estate, legal, tax, and insurance purposes. The store will consider purchases from individual books to whole libraries in the Pittsburgh area. So where do they put all those books? Some are at the S. Craig St. store but many are kept in their warehouse located in nearby Wilkinsburg where they house approximately 150,000 items. The warehouse may be visited by appointment Monday through Friday. Wilkinsburg, PA. Open by appointment. HOURS: For phone inquiries, please call Monday-Friday between 10am and 5pm. If we don’t answer please leave a message — we will get back to you within 1 business day. I only had a few minutes but I’ve mentally bookmarked this store for a return visit when I get back to Pittsburgh. We are taking some time off this week and love exploring some of the smaller towns around Columbus. 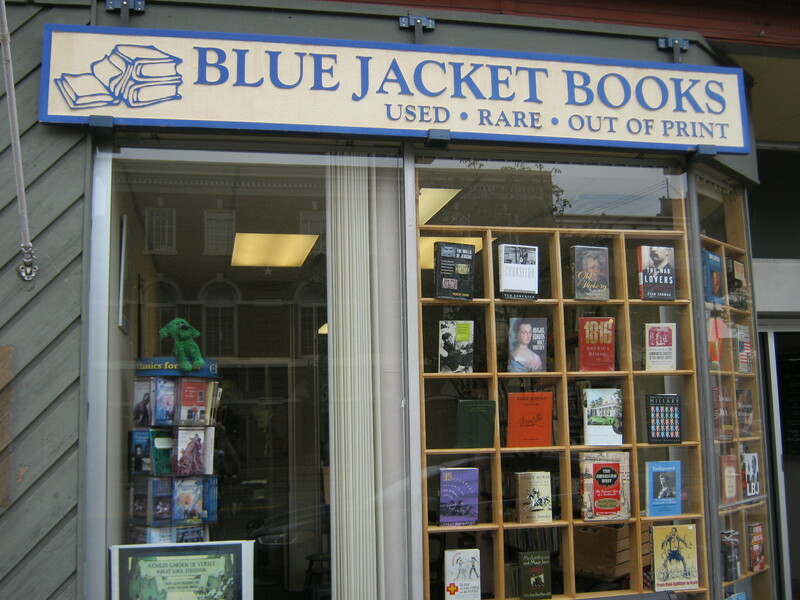 On Tuesday, we were in Lancaster, Ohio and discovered a wonderful used paperback store right on the corner of N. Columbus and W. Main in the heart of downtown Lancaster. The Paperback Exchange has been in downtown Lancaster for about a dozen years but just moved to their current location in March. They were previously in a couple other downtown locations, one of which they vacated after a fire in the building and the building was torn down. 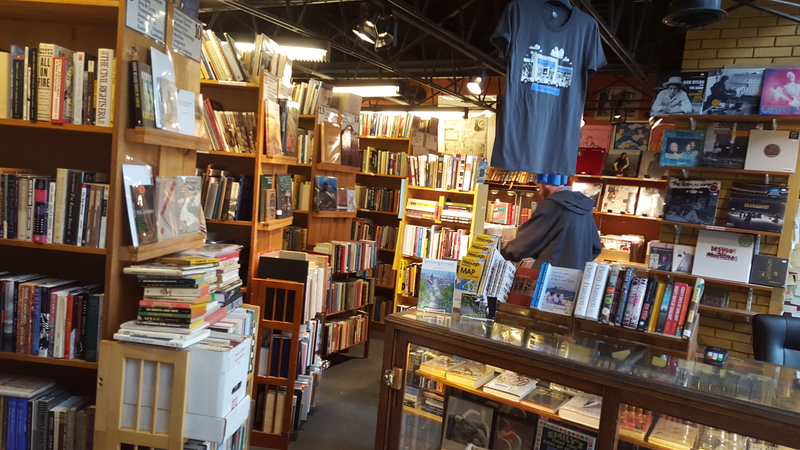 We found the store well and neatly laid out with large sections for current fiction, adventure and mystery stories, romance novels, science fiction, and a section of children’s books in the front of the store. The store has smaller sections of more “serious” religious literature, history and classical literature. They also feature a selection of cards, candles, and other gifts and sundries. True to its name, you can also receive store credit for many books and some other media. Consult with the store for its current policy on book and media credit. 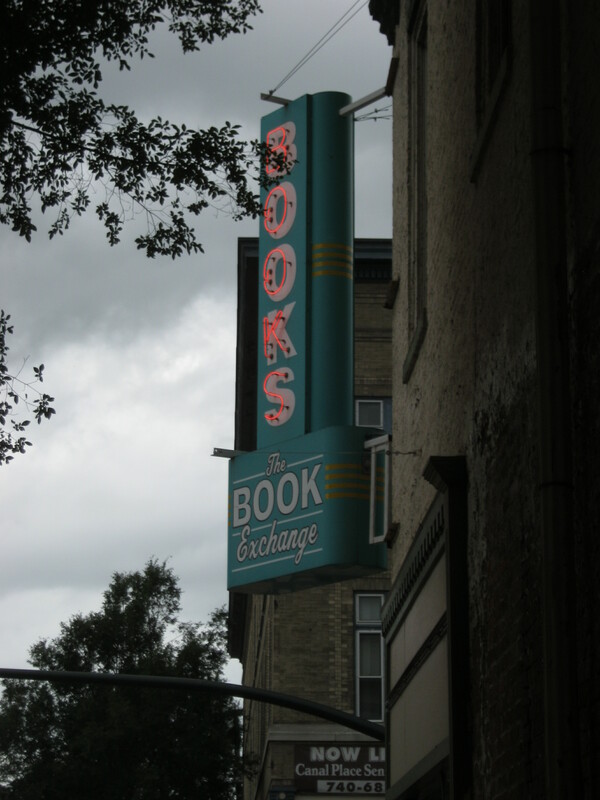 The sign outside the Paperback Exchange is reminiscent of the old Long’s Bookstore sign that now adorns the outside of the Barnes and Noble Store at Ohio State The Paperback Exchange sign came from a store in North Carolina. 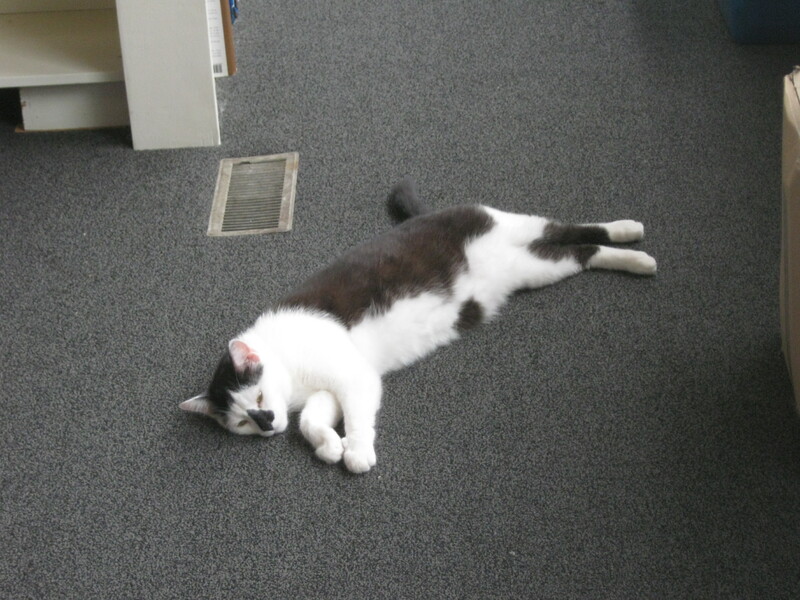 When you walk into the store, you will be greeted by one of two very friendly bookstore cats, either Dickens or Webster, or perhaps both. We only met Dickens on our visit. 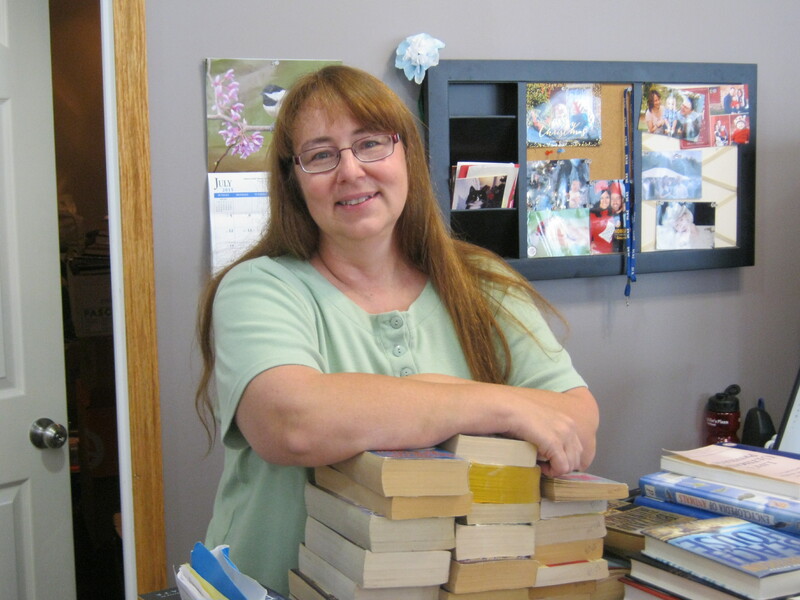 What impressed me about the owner, Leanne McClellan, is that she has not only created a welcoming space with a great selection of the books most people are reading that sell for very reasonable prices. She also is a proponent of downtown Lancaster and was one of the pioneers in the revitalization of the downtown. Lancaster now has several new eateries including Table 1, Ale House 1890, Signatures Restaurant and Sports Bar, as well as a Glass Blowing Museum, Art and Clay, which is a walk-in ceramics studio, and Blank Slate Artisans where you can buy handcrafted items from local artists and more. Destination Downtown Lancaster is a great resource for planning a visit but once you are there, Leanne can give you an up to the minute account of the good things going on in downtown Lancaster! 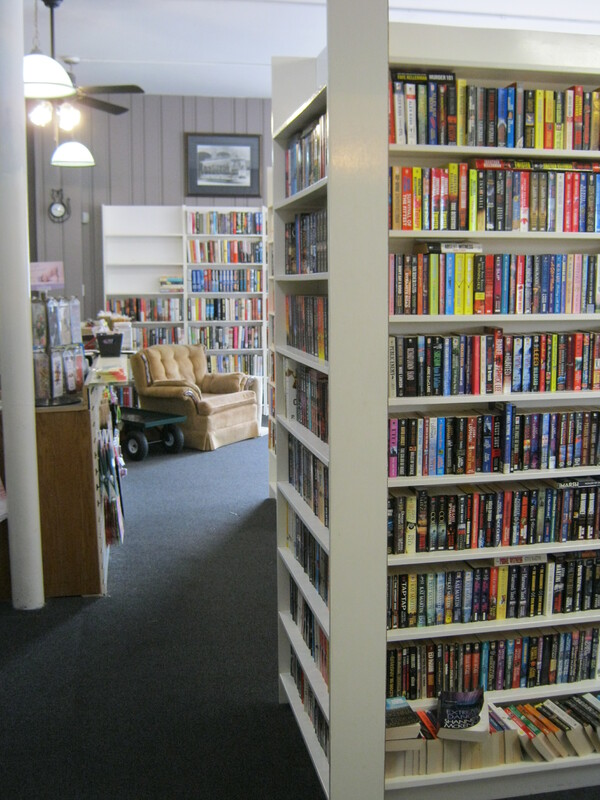 So, if it is the latest fiction, a good beach read, or the latest James Patterson thriller, the Paperback Exchange is a great place to go for books at half price or less, as well as an update on the latest attractions of downtown Lancaster. Also, look for the Paperback Exchange at the upcoming Lancaster Festival, July 23 to August 1. Paperback Exchange is located at 201 W. Main St., Lancaster, OH 43130. Their phone is 740-654-5856. I’ve heard of wine-tasting tours, gallery hops and pub crawls in Columbus, Ohio. I’ve yet to hear of a bookstore crawl in Columbus and I’m kind of wondering when the booksellers around here will get their stuff together to pull one off. Searching online, I found a San Francisco Bookstore and Chocolate Crawl, a London book crawl, a blog post about book crawling in Houston, a Literary Crawl in Nevada, a Cambridge book crawl (a GREAT place for a bookstore crawl), and more. But I think we have the makings for a great bookstore crawl in Greater Columbus. I would have no problem spending a day visiting some of the great bookstores in our area. So I’ve come up with my own book crawl itinerary. In some cases, there are multiple outlets for some stores and I’ve chosen a favorite out of these. Since I live on the north end of the city, I’ll start there and work my way south. 1. Barnes and Noble Easton Town Center. This is probably the biggest and classiest Barnes and Noble in the city and if you were to go to one retail outlet for new books, this is it. Biggest danger here is being distracted by all the other boutiques in this trendy shopping district. 2. Village Bookshop, 2424 W Dublin Granville Rd Columbus, OH 43235‎. 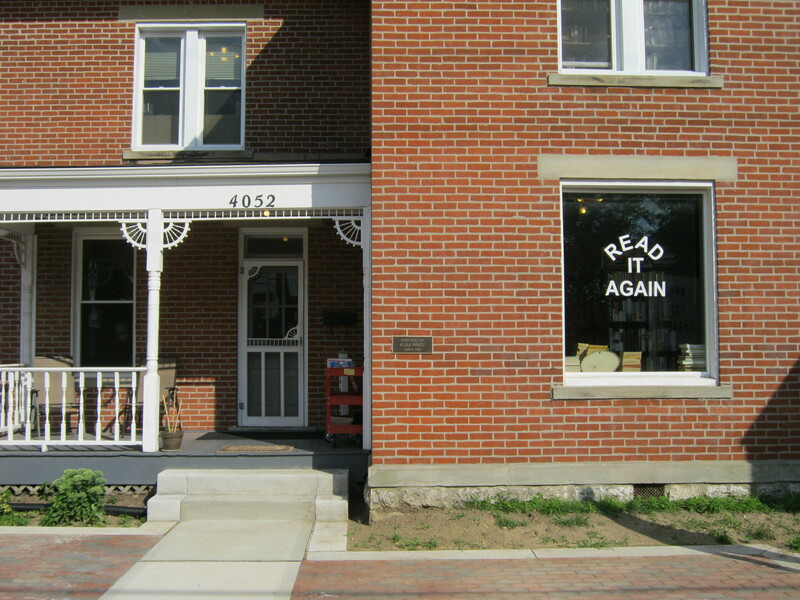 This is a used and remaindered bookstore located in an old church building, with both first and second floors. 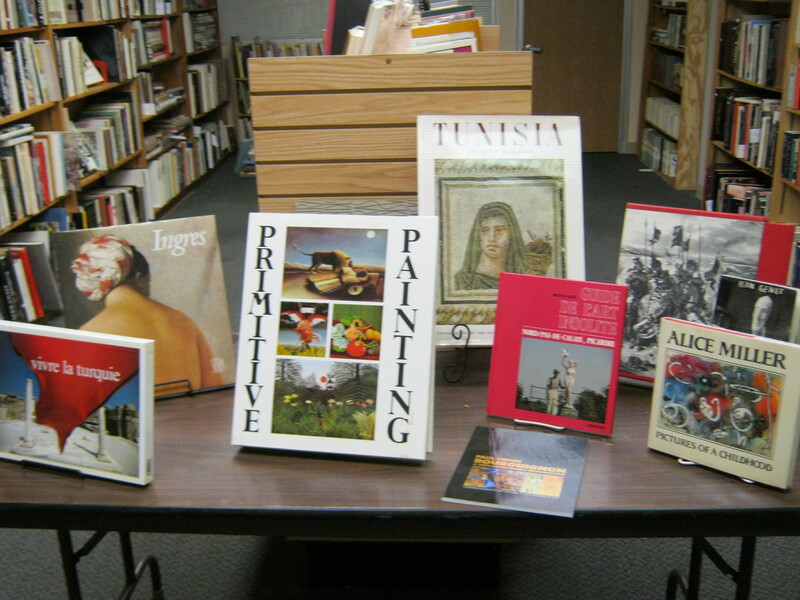 You can ramble from room to room, from sections of children’s books, to a table of biographies, to sections of American, world, and military history (including a great selection of military prints) to literature, philosopy, fiction, and much more. 3. Cover to Cover Books for Young Readers, 3560 N High St, Columbus, OH 43214. I have to admit that I’ve never visited this indie bookstore focused on children’s books but they’ve been around a long time and must be doing something right. The pictures on their website suggest this is a delightful place for children! 4. Karen Wickliff Books, 3527 N. High St., Columbus , Ohio 43214. They claim to be the oldest and largest used bookstore in Columbus. 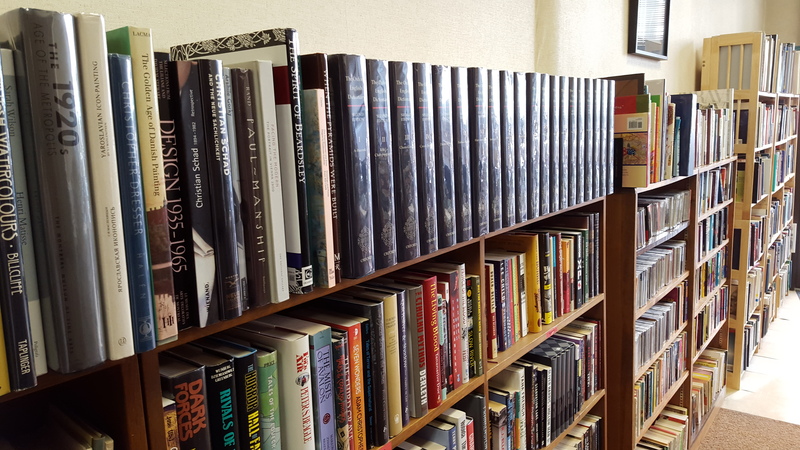 This is the place to go for out of print, scholarly, and collectible books. I’ve found their religion section among the best of any used bookstore I’ve visited. 5. Half Price Books, 1375 W. Lane Ave. Columbus, Ohio 43221. Half Price Books is a national chain of used and remaindered books, music, and video. I’ve been to all their Columbus locations and think this is the best (though we like them all!). 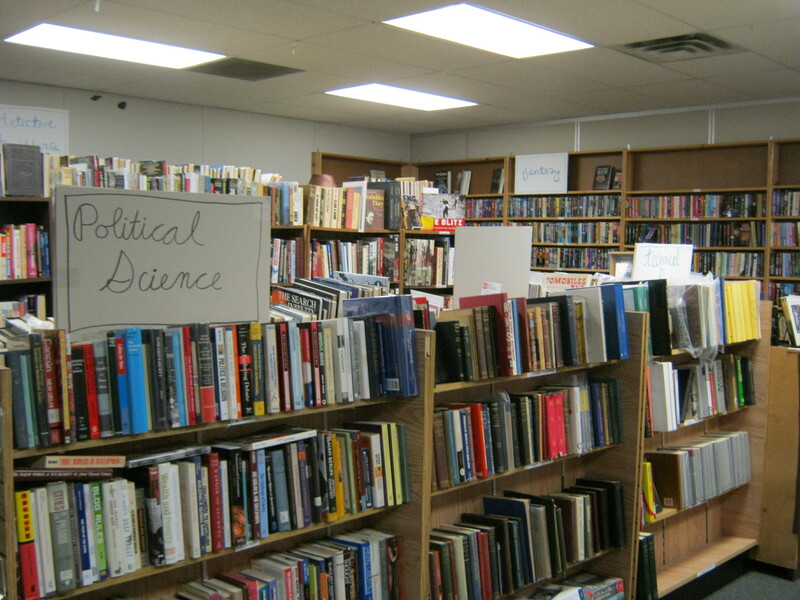 It’s located just west of Ohio State, and because of this has a bit more academic selection of books including a great section of $1 and $2 books. 7. The Book Loft, 631 South Third Street, Columbus, OH 43206. This store, in the heart of German Village, can be entered from a brick walkway lined with flowers along the side of the building. The store consists of a series of rooms on a couple levels and you will want to print out or pick up a store directory. Columbus is a great place for booklovers. I’ve probably missed some good places and would love for my Columbus friends to add to the list in the comments. And if you are visiting town this summer and love books, I hope this might help you plan your own bookstore crawl. One of the troubling aspects of modern life is how much data about us is stored in various computer data centers. Shopping at my local grocery, I use my shopper card to receive discounts on groceries and fuel while providing the grocer a whole profile of my shopping habits that allows them to customize coupons to my shopping tastes. Every online vendor collects similar data and cookies on our computers track our browsing habits. Health records are maintained on a number of sites. My cell provider has data on all my phone activity and even where I make calls from and where I am (or my phone is) at any given moment. A quick Google search of my address provides information of the appraised value of my home, how many bedrooms and bathrooms we have, and how much I pay in property tax. And this blog and other social media sites provide a substantial amount of information about me. Much of this is done with my knowledge and consent (whether I’ve read those disclosures or not). And most of the time I don’t trouble myself that much, except when this information is compromised by hackers, which seems to happen with disconcerting frequency. What the Edward Snowden affair made clear is how much of our information is vacuumed up unbeknownst to us through NSA monitoring. The reality is that we probably should assume that very little of what we do, and nothing of our online lives, is private. What may not have occurred to us is that even our bookstore and library searches, if tied to an account (a library card or shopping card, for example, or our name) are also subject to search and seizure without our knowledge under the Patriot Act. Under current laws, according to an article in The Nation, federal authorities may seize any “tangible” thing considered relevant to a terrorism investigation and workers are under gag orders not to disclose these seizures. Section 215 of the Patriot Act that permits these kinds of seizures is due to expire on June 1. According to a Publishers Weekly article a coalition of booksellers, authors, readers, and librarians is pressing for the passage of a USA Freedom Act which would restore some privacy protections. It would not eliminate information requests but limit the scope of requests by requiring individual account information under an individualized standard of suspicion. These searches involve search orders but no warrant issued from a judge’s bench, nor are these orders presented to the person whose records are being searched. It is all done in secrecy. The truth is, as I’ve already stated, we should probably assume that nothing we do on a phone, with a credit or shopping or membership card, or do online or give others permission to store online is private and we can expect that it may be accessed without our knowledge. But to justify warrantless, secret searches as protecting a free and democratic society is to delude ourselves. That ship has sailed. Something to consider the next time you check out a library book or use your Barnes and Noble card to buy the latest best-seller. “Harlem Micky Dz” by Sam Smith – Own work. Licensed under Public Domain via Wikimedia Commons. McDonald’s is facing hard times. They’ve closed 350 stores and are closing 350 more. In articles I’ve read, it appears that they are trying to stanch declining sales by experimenting with serving breakfast all day long and adding premium burgers (even after they pulled their pricy Angus burgers) and maybe throwing in kale on the menu? Kale at McDonald’s? Seriously? Certainly some of the issues are that McDonald’s menu has not been known, with some exceptions, for its’ healthy food options. Yet other competitors with similar menus are not having the same problem–I suspect that the success of Five Guys is part of what is driving the interest in premium burgers. 1. Consistency. 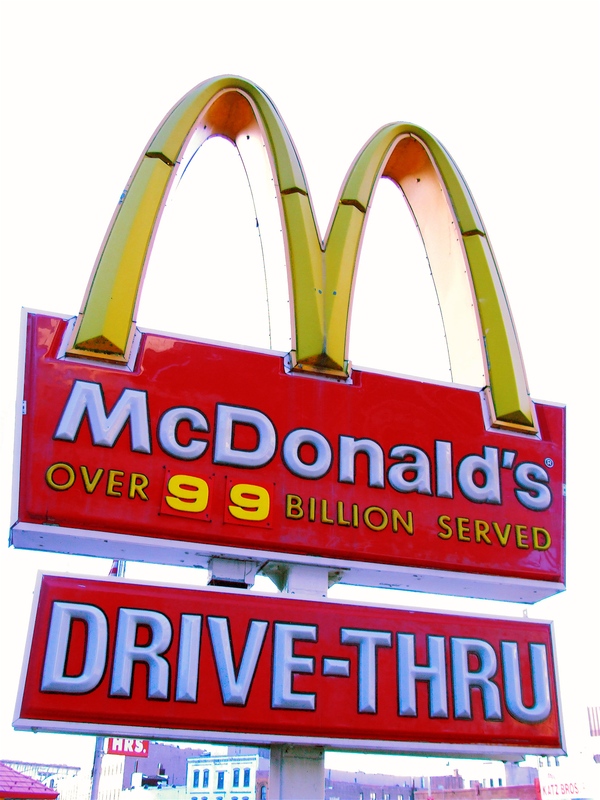 At one time, you could go to any McDonald’s in the country and get a consistent product–one that tasted like your McDonald’s up the street. That is no longer the case–sometimes we’ve had burgers that taste like cardboard, and other times, what we remembered. And it makes you wonder about other aspects of the back operation. 2. Service. A while back we were in line at one restaurant waiting to order…and waiting, while a manager, who was standing between us and the counter, belly-ached to his line people about how he didn’t like his job and couldn’t wait to go home. By contrast, I was in a Panera recently where I overheard a manager interviewing a new hire who effused enthusiasm for his work, his team, and the quality of product and service they sought to bring to the customer. Can you guess where I prefer to eat these days? All this seems like a no-brainer, whether it comes to selling burgers or books. But what do I know? I’m just a customer. Just read a ShelfTalker piece from Publishers Weekly about the challenges of staying healthy if you are a bookseller. Let’s just say that it is not easy when one works with the public all day to stay healthy during cold and flu season. The writer talks about parents who stop at the store with obviously sick kids to pick up books, on the way to the pediatrician. 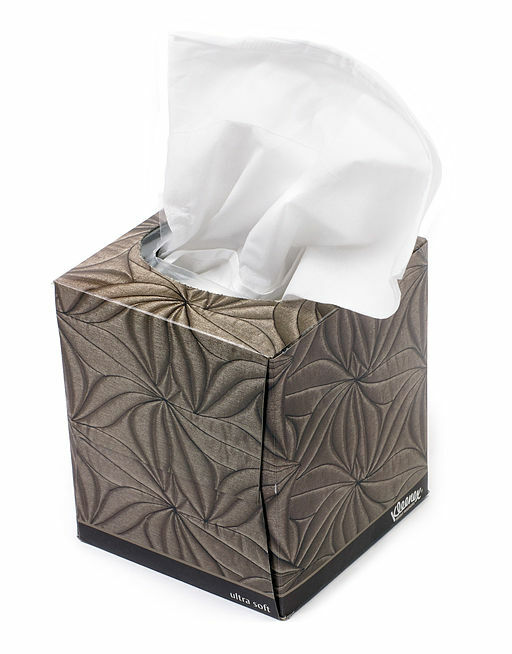 Handling cash and credit cards of those who may not have coughed into their elbows is a recipe for time off. I suppose there is no way we are ever going to have perfectly germ-free environments no matter how many “safe sneezing and coughing” videos we watch and how many hand sanitizers and sprays we use. What you would hope for instead is some common sense and courtesy. The truth is that booksellers aren’t the only ones affected. Cafe workers have to handle germy cups and plates. 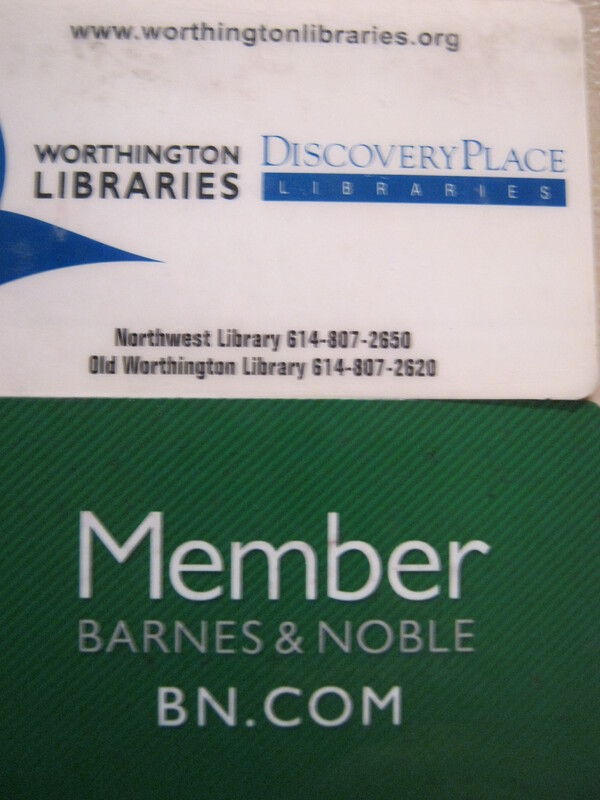 Other customers may handle books or other articles a sick person has touched including door handles. In our go-go culture we’ve been trained to do just that until we are laid out, sick as a dog, sick. This is a great time to catch up on reading the books you have. Take that cold or flu medicine, get into your jammies, get a cup of hot tea, and snuggle up with a good book. Need books? Here is where an e-reader is really helpful. You can borrow them from the library or buy them online without putting a single person at risk. There are also many sources of free books such as Project Gutenberg, the Internet Archive, and a number of free Kindle books on Amazon, and other online sources that you can read on a tablet or computer. That’s not possible? You can reserve books online at your library and pick them up with minimal contact, particularly if you have self-checkout. Can the books carry microbes? It’s possible but most die within hours or days in a dry environment. Maybe if your kids are sick, you can make sure they use hand sanitizers and wait three days before returning the books. You can put a call out on Facebook to your friends that you are desperate for books. Let them know your favorite types. And maybe they can bring some chicken soup as well. If not, the books are a good substitute! Many of us develop good relationships with our booksellers. They are our friends. If they work at an indie store, it is not always easy for them to take time off if they get sick. Love thy bookseller as thyself! The uber used book store? What am I talking about? It’s the store probably responsible for at least a third of the books in our house, and for passing along our book-buying habits to our son, (which his wife may or may not think is a good thing!). What am I talking about? Half Price Books of course. 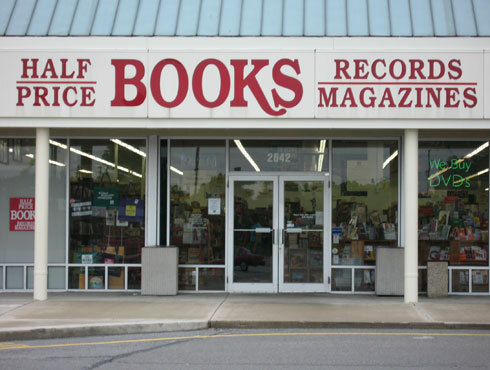 Half Price Books has five stores in the Columbus area, three of which we visit fairly regularly (Carriage Place, Lane Ave., and Graceland, in that order). The chain, like so many used book stores, had its start as a single store in Dallas, TX in 1972, taking over a converted laundromat (information is from their website). Also like many used book stores, this one began when Ken Gjemre and Pat Anderson stocked the store with books from their own libraries. They started with the simple idea of selling books (and eventually movies, music, and games) at 50% or less of retail. This idea, and I’m certain a lot of entrepreneurial work, has propelled them to a chain of stores numbering 115 in 16 states. Half Price books says it gets about half of its stock from its customers. They also say they will buy anything printed or recorded except for yesterday’s newspaper. We’ve found that to be true and they have been a great place for us to recycle books and other media we no longer want and can’t find others to give it to. That said, the one caveat is that you may sometimes get a better price for particular books at other stores, if it is something they want. But I haven’t found any other place that will take whatever you bring and re-sell or recycle it and give you something, usually store credit, for your stuff. In part, this post is inspired by the fact that Half Price Books is currently having one of its regular coupon sales. You can sign up to receive emails about these and other events at their website. A couple years ago I found Raymond Brown’s box two volume work The Death of Jesus the Messiah, and with a 50 percent off coupon picked it up for $15 (it retails at $60). Recently, they have also begun holding massive clearance sales at a central location (our state fairgrounds hosted one recently). We’ve not been to one of these, but everything is $3 and under. Another used book store owner I talked to recently admitted to going to one of these to pick up stock. What I’ve liked about Half Price Books is the range and depth of material you can find. It isn’t just the most popular stuff. 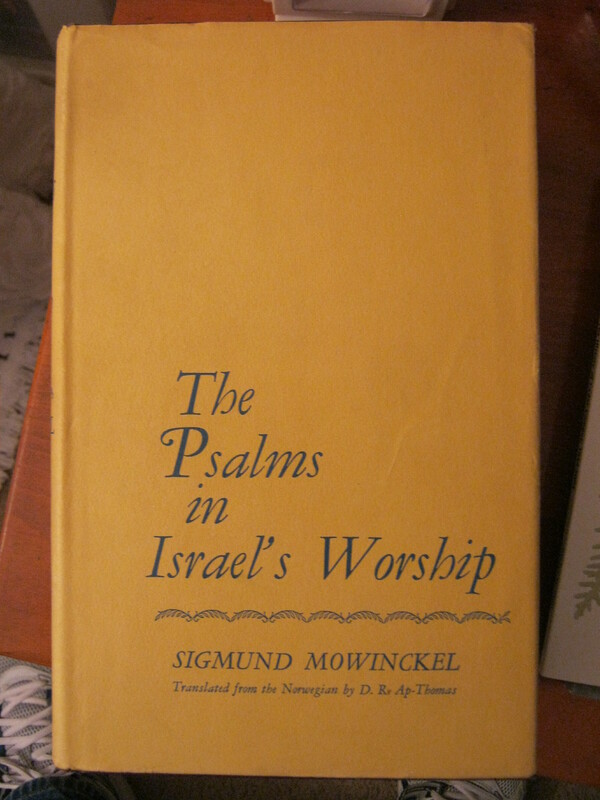 This past week, I picked up a hardbound copy of Sigmund Mowinckel’s The Psalms in Israel’s Worship, a landmark work on the Psalms published in 1962, for a mere $5. Sometimes I find the most amazing stuff in their bargain shelves where nothing costs more than $2. I found a copy of Mark Schwehn’s Exiles from Eden, a book I’d wanted on religion and higher education, on one of these shelves. I have to say, we’ve had a nearly twenty year history with Half Price Books in our area, and I really can’t find anything bad to say about them, other than the fact that they’ve tempted me to buy more books than I probably should have. These days, I mostly limit visits there to the sales and try to sell them more books than I buy. If you don’t live in a location that has one of their stores, you should check their locations and make sure to visit one when you travel, unless you are seriously resisting the temptation to buy books!